Led by deceleration in the US and further softening in China, the global economy is poised to slow moderately from 3.8 per cent in 2018 to 3.5 per in 2019, according to a Goldman Sachs research report. With growth still above potential in most developed countries there is an expectation of continued labour market tightening, gradually rising core inflation and higher policy rates. The outlook for the UAE economy is highly positive despite global headwinds. The country’s real gross domestic product (GDP) is expected to grow 3.7 per cent this year, higher than the 2.9 per cent forecast for 2018 and the 0.8 per cent growth achieved in 2017, according to the latest economic outlook figures from the International Monetary Fund (IMF). Juma Mohammad Al Kait, Assistant Under-Secretary for Foreign Trade Affairs at the Ministry of Economy, said geopolitical developments are unlikely to moderate the economic growth of the UAE. The UAE jumped 10 places in the World Bank’s “Ease of Doing Business” ranking at 11th position globally in 2019 from 21st position last year to lead the Arab world for the sixth consecutive year. UAE economy has come a long way in 2018 and survived several economic upheavals, generated by the current geopolitical developments, growing 2.8 per cent in 2018, higher than the 0.7 per cent growth achieved in 2017. The UAE’s gross domestic product (GDP) will maintain its strong growth in 2019 and the next two years, helped by higher investment and regulatory reforms. The World Bank said in its latest report that the UAE is expected to grow two per cent in 2018 but the growth is expected to accelerate to three per cent in 2019 and 3.2 per cent in the following two years of 2020 and 2021. According to World Bank’s January 2019 Global Economic Prospects, growth among oil exporters is expected to pick up slightly this year. “Higher investment and regulatory reforms are anticipated to support stronger growth in the GCC. Iran is forecast to contract by 3.6 per cent in 2019 as sanctions bite,” World Bank said. In rest of the GCC, Kuwait is projected to clock a GDP growth of 3.6 per cent this year followed by Oman (3.4 per cent), Bahrain (2.6 per cent) and Saudi Arabia (2.1 per cent). For the Mena region, the World Bank estimated 1.7 per cent growth for 2018 and 1.9 per cent in 2019 as growth among oil exporters is estimated to have strengthened last year. “Among the countries of the GCC, increased oil production and prices have eased fiscal consolidation pressures, enabling higher public spending and supporting higher current account balances. Among non-GCC oil exporters, anaemic growth in Iran associated with US sanctions has been a drag on regional growth,” it said. “International trade and manufacturing activity have softened, trade tensions remain elevated, and some large emerging markets have experienced substantial financial market pressures,” the January 2019 Global Economic Prospects said. Growth among advanced economies is forecast to drop to two per cent this year. As economic and financial headwinds intensify for emerging and developing countries, the world’s progress in reducing extreme poverty could be jeopardised. To keep the momentum, countries need to invest in people, foster inclusive growth, and build resilient societies. 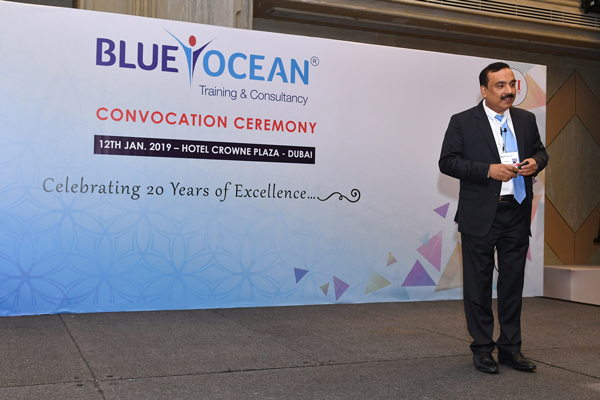 Blue Ocean commemorated 20 years of operational excellence with a glittering convocation ceremony in January 2019 at the Crowne Plaza hotel where more than 350 professionals from different areas of expertise were honoured with international certificates. It was a special ceremony that called for special guests of honour : Mr. Mohamed Al Ali, Managing Director & Head of Cash Management, First Abu Dhabi Bank, Dr. Jasim Al Ali Deputy CEO of Corporate Sector at Dubai Media Incorporated, Dr. Fauz Gataby, Entrepreneur and consultant to business and educational institutions in Switzerland, France and Netherlands and Saeed Rashid Maktoom Al Mazrouei, Senior Manager- ADIA and Dr. Ben Bvepfepfe, Representative from the prestigious Chartered Institute of Logistics and Transport, UK. Speaking on the occasion, Mr. Abdul Azeez, Regional Marketing Director announced free training programmes for low wage workers in the Middle East as part of its Corporate Social Responsibility Initiative. Blue Ocean, has played a stellar role in training professionals to become experts in their field, bridging the gap between infrastructure and knowledge in the region, sharing best practices and creating a pool of local talent. Over the years, it has established itself as the most trusted knowledge empowerment enterprise. 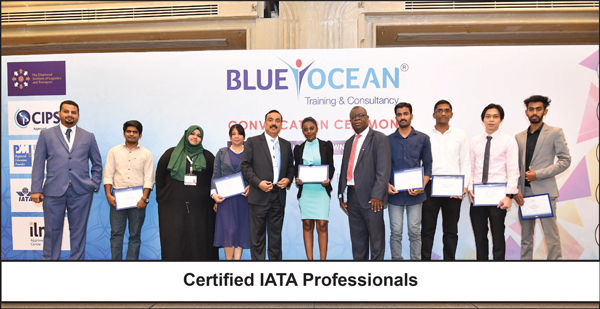 It was a proud moment for Blue Ocean students as they received their certificates and joined an elite club of certified professionals worldwide. An international certification serves as a benchmark of competence and a leading credential for professionals in competitive workplaces worldwide. Hiring managers are looking to pay a premium for internationally certified professionals, considering it to be a steady validation of individual skills and competence. For professionals looking to safeguard their careers or seeking a promotion, international certification has helped open up a lot of doors. 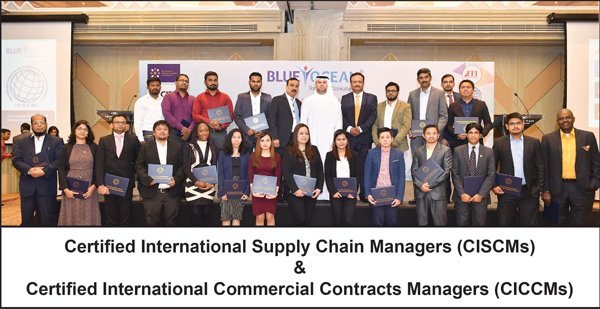 Logistics and transport professionals in the Middle East are all set to gain from a series of chartered diploma qualifications from the United Kingdom launched by Blue Ocean from February 2019. At a time when global companies are increasingly looking to hire professionals with industry expertise as well as higher -end qualifications, the prestigious UK-based Chartered Institute of Logistics and Transport has joined hands with the region’s largest knowledge empowerment enterprise Blue Ocean to create human capital for the UAE’s rapidly expanding logistics and transport industry. According to World Bank’s latest Logistics Performance Index, the UAE ranked 13th out of 160 countries. This means the UAE outperformed countries such as Canada, Finland, France, Denmark and Australia. When compared with its emerging market peers, the UAE ranks first, cementing its position as the leading logistics hub in fast-growing economies. The Chartered Institute of Logistics Transport International Diploma (Level 5) was launched in the UK in 2015 and is equivalent to a 2 year degree course. It has been specially designed to provide a sound foundation for a career within the transport and supply chain fields and will provide supervisors, first line managers and potential middle managers with a complete set of management and operational skills. It runs through Management in Logistics and Transport, Transport Planning, Production Planning and International Business. The International Advanced Diploma in Logistics and Transport (Level 6) is CILT’s highest level of qualification designed for the next generation of business leaders, helping operational managers and technical specialists to think strategically, carry out in-depth research and stretch their knowledge and competence. 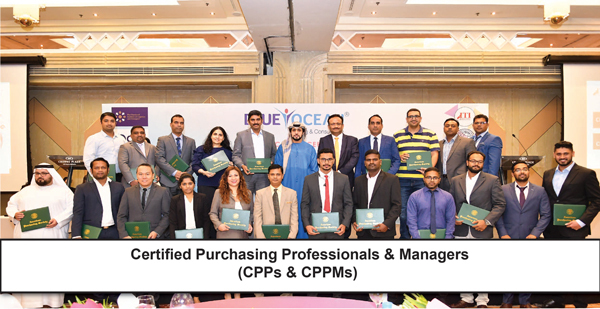 Both the CILT diploma courses are being launched by Blue Ocean in Dubai from Feb. 20 and will be preceded by an information seminar at the Crowne Plaza Hotel on Feb. 8. The CILT is a global professional membership organization, with a strong presence in 30 countries and has helped shape government policy across diverse economies. All Blue Ocean students are endorsed by the Knowledge and Human Development Authority. Blue Ocean will also act as an authorised centre for CILT examinations and all students will gain lifelong membership with CILT. 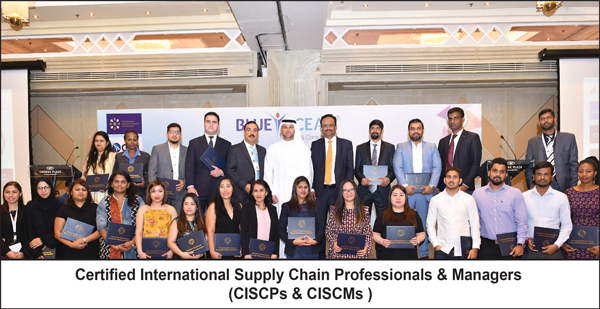 According to Dr. Sathya Menon, Academic Director, Blue Ocean, the Chartered Institute of Logistics and Transport Diploma and Advanced Diploma is a top-class UK-based credential that will give Logistics professionals in the Middle East an opportunity to connect themselves with the best practices throughout the world. 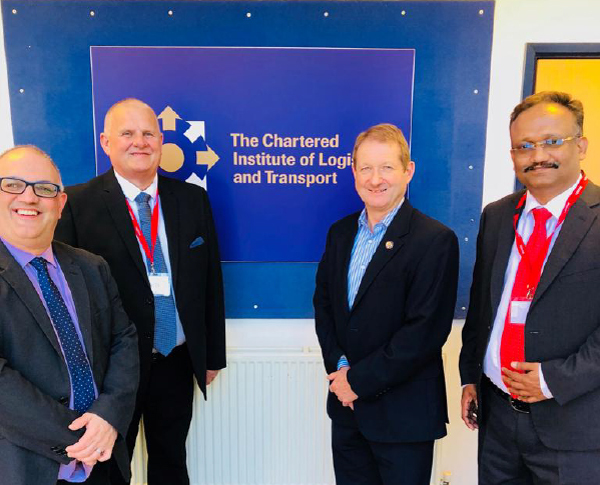 “Logistics has always been the cornerstone of our training expertise and we are proud to associate with CILT and introduce top class qualifications for our supply chain students,” he explained. 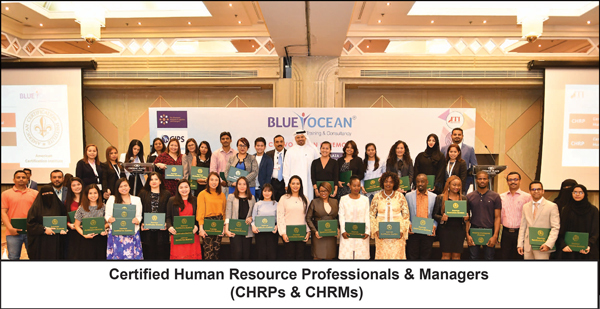 Global companies are increasingly looking at hiring professionals with industry qualifications and expertise and Blue Ocean has played a pioneering role in training professionals and keeping them relevant to their workplaces. In a noble initiative aimed at giving something back to society, Blue Ocean will offer free training to economically weak students. Workers with low-paid jobs or low qualifications can now train with Blue Ocean and avail any of the courses, absolutely free of cost. “This is a golden opportunity for low-income workers to train with Blue Ocean and upgrade their qualifications. This will open up new vistas for them. Our new initiative is aimed at improving the employability of the UAE workforce,” explained Mr. Abdul Azeez, Regional Marketing Director, Blue Ocean. The CSR initiative is part of Blue Ocean’s consistent efforts to partner the UAE government in uplifting the marginalised in society also to boost private and government sector partnerships. The Blue Ocean CSR programme starts January 2019 with the aim of upgrading 100 low income workers. Admission is open based on a first come first serve basis. Pls send mail to csr@blueoceanacademy.com for further details. If you are a Blue Ocean alumnae, now you can earn money by referring a friend or family member ! For every person you refer, you stand to gain instant cash vouchers worth Dhs. 500. Earn upto Dhs. 5000 every month by being part of this student loyalty programme. 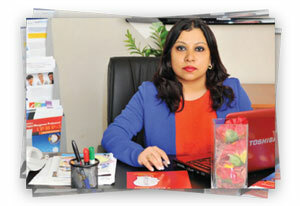 Please visit Blue Ocean office to know more or send email to info@blueoceanacademy.com. Blue Ocean, the region’s largest knowledge empowerment enterprise opened its doors to 2019 on a jubilant note, celebrating 20 years of operational existence. 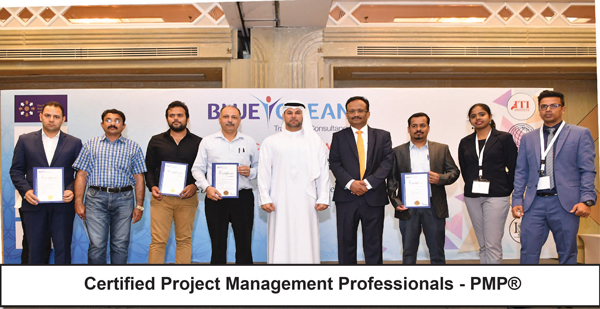 The company that stepped in to bridge the widening gap between knowledge and infrastructure in the region way back in 1999, has now set new standards of training excellence in the UAE and overseas. It’s important to benchmark success, or so the Managing Directors of Blue Ocean believed, Dr. Sathya Menon and Mr. Abdul Azeez, who not only led from the front but also benevolently honoured all those who brought in their hardwork and talent to contribute to the success of the enterprise. Here are some snapshots from Blue Ocean’s Annual Awards Nite 2019. Corporate cultures are changing. It’s in to be human, to be kind, to embrace conflict and to celebrate small successes at the workplace. Offices, where profits are all that matters and “hire and fire” situations rule the roost… are slowly giving way… to happier, saner and more productive workplaces. Indeed that is what the new Blue Ocean strategy formulated by renowned professors, W. Chan Kim and Renee Mauborgne has said. In their new book “Blue Ocean Shift : Beyond Competing, Proven Steps to Inspire Confidence and Seize New Growth” the professors clearly indicated that just moving beyong competition will not lead to sustainable growth of the company. Instead it’s important to take the employees along, making them feel secure and happy. This is the key to long term productivity or the real secret to success in a dog-eat-dog world. For example the industries of national youth and French frymakers are clearly worlds apart. The National Youth Orchestra of Iraq is new, non-profit and essentially a start-up. Group SEB is a for-profit multinational with a 150 years history behind it. Though poles apart, they succeeded in the same way, they overcame obstacles by winning peoples’ confidence and cooperation. They shifted from competing in existing crowded markets to new open marketspace. 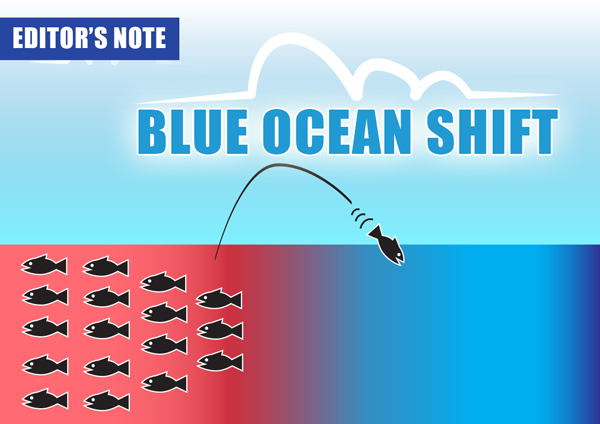 The new Blue Ocean shift is now here to stay. It’s a systematic process to move your organization from cut-throat markets with bloody competition to wide open blue oceans or new markets devoid of competition, in a way that brings your people along.